Arfango mixes things up with this laser cut tassel loafer. 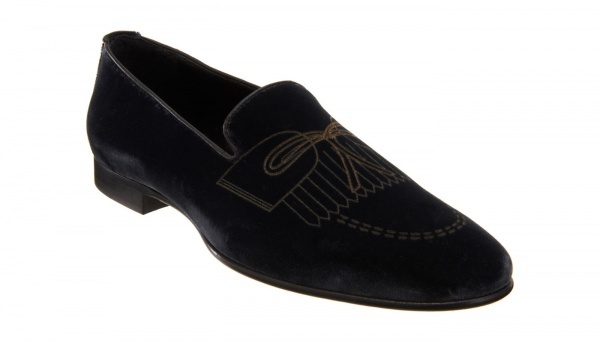 A plain toe loafer, made of soft blue velvet, the shoe features a tassel closure design, and charming little fringe design across the high apron, giving the shoe plenty of versatility. Available online now. This entry was posted in Footwear. Bookmark the permalink.